How I fell in love with the Nexus 6 - Phablets are GOOD! I was one of the many people who were publicly disgusted/heart-broken/annoyed when Google announced that the Nexus 6 would be an over-sized 'phablet' (and with a 6 inch screen that made it bigger than the Galaxy Note and the iPhone 6 Plus). I have never been a fan of large sized phones. I tend to believe that a phone should behave (and be sized) like a phone and people who want something more should pick up a tablet. Most of Asia disagrees with me. IDC reports that in 2015, phablet volumes will hit 318 million, overtaking portable PCs (tablets+laptops) by a wide margin. 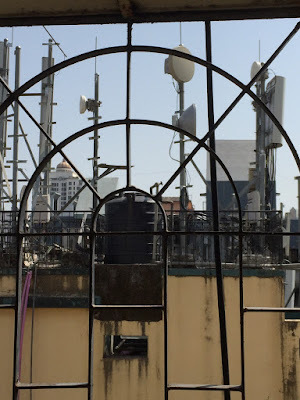 This growth is fuelled by emerging markets, where the smartphone is the device of choice for internet connectivity and the large screen of a phablet is considered as an advantage rather than a weakness. And with phablet prices dropping constantly, adoption rates have also picked up. Coming back to the Nexus 6, I ordered it with some apprehension. But I needed a phone urgently and Flipkart was offering a great exchange price against my old HTC. This was the best deal I could get on short notice (I paid Rs. 28000 including shipping) so I took the plunge. And I have to say, that I adjusted to the new phone in a suprisingly short time span. 1) It's awesome to read on a plus-sized screen! The arrival of the Nexus 6 co-incided with the arrival of my first pair of reading glasses. It was certainly the right time to appreciate the super large, super clear screen and the HUGE font size that it can display. It definitely made the reading experience smoother. Over the past week, I have noticed that I reach less often for my iPad or laptop, and I do more browsing on the phone. I understand now why so many people buy these giant sized phones. It certainly improves the browsing experience by leaps and bounds. My mom has an Asus Zen Fone 6 (another 6 incher) and she also confirms that she has substituted it for her tablet. 2) It's not as big as you fear it is! 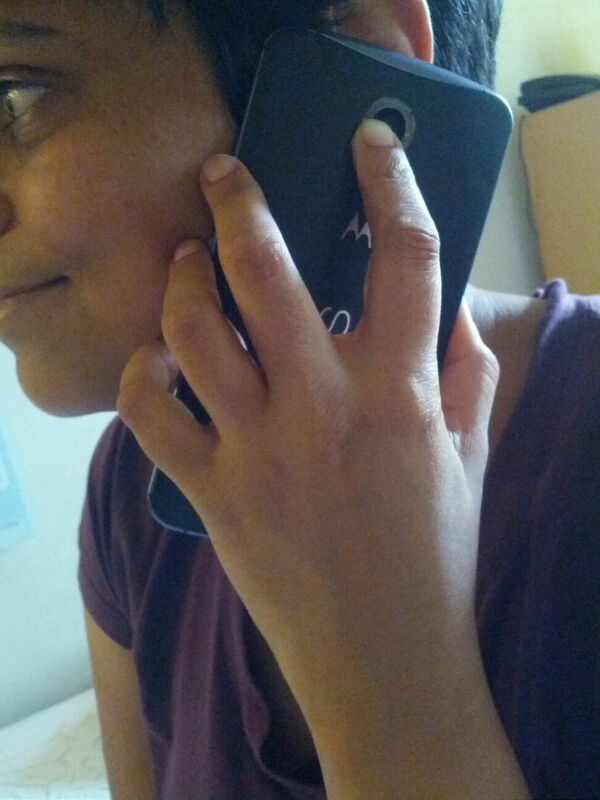 One of my biggest fears with a phablet, was how funny it would look when I used it for calls (like holding a purse to your ear, as one of my friends had derisively described it). Thankfully, the design and ergonomics of phablets are constantly being improved by manufacturers. Motorola has proved its design chops by reducing the bezel size and doing away with the physical button in favor of capacitive buttons. 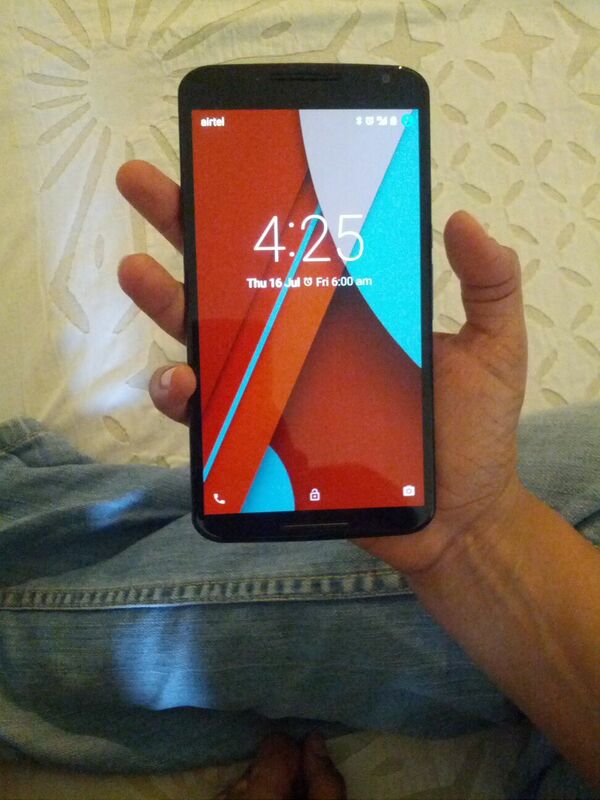 It may come as a revelation to you that the Nexus 6 is almost the same size as the iPhone 6 Plus while adding half an inch of real estate to the screen. Still there is only so much of bezel management you can do, and it cannot mitigate the fact that this is a massively sized phone. But Motorola has done some magic that makes the phone easy to manage. As you can see from the pictures I posted, the Nexus 6 is not so unwieldy that it becomes unmanageable. In situations where you are sitting comfortably, it's easy to type. But I have more or less forgotten about one handed typing while carrying a shopping bag! Those days are behind me. The funny thing is, now when I handle smaller phones including the Galaxy Nexus and the HTC One that I upgraded from, they feel really small and cluttered compared to my new phablet. I don't know if I will go back to a smaller phone so soon - I know that I would miss this experience. Poor battery life used to be one of the strikes against phablets - something that early adopters of the first Galaxy Note would remember well. Screens are the biggest drain of battery and today's super high resolution screens with qHD, Super Amoled etc. are battery sippers. One of the reasons that phablets are huge is that the huge screen also requires a super-large capacity battery to power it for a decent number of hours. Here is where the Nexus 6 really scores. Not only does it have decent battery life (provided you don't abuse it), it also charges really fast through the supplied adaptor. You can bring it upto 60% charge in 20 minutes and that is really fast. I have used and praised HTC Sense, and appreciated that Samsung is improving on TouchWiz. But there is nothing that can beat the simplicity and pure joy of undiluted Android, and the good news is that it gets better with each subsequent release. I used Lollipop on the HTC for a few months, but it barely gave me a flavor of the OS compared to the way it operates on the Nexus. I started out my Android journey with Ice Cream Sandwich on the Galaxy Nexus 5 years ago, and I truly appreciate how much Google has refined the operating system over time. Stripped down to basics, simple, liquid-smooth is how I would describe it. It does not get in the way of the tasks you want to do with your phone, and that's the way it should be. Apple could learn a thing or two from Android at this stage. I have heard complaints that Google should create special apps that use the large screen, like Samsung has done with the Note 4. But somehow, I am OK if they don't do that. I am ok with the vanilla experience, because to my mind, that's the essence of the Nexus. It's for people who do not want the bells and whistles that come in the shape of fancy branded features. And if they do want them, there's a host of custom ROMs and they can pick which bells and whistles they want. Incidentally, I will not be rooting or loading a custom ROM, at least in the immediate future. I want to savor the awesomeness that Google has created. Believe me, it is awesome. And it's way better on the Nexus 6, than on the Nexus 5!